2. Add the Theme Zip file. 4.Go to AMP and Click on it. 5. Go to the Options and Select the Desing Option. 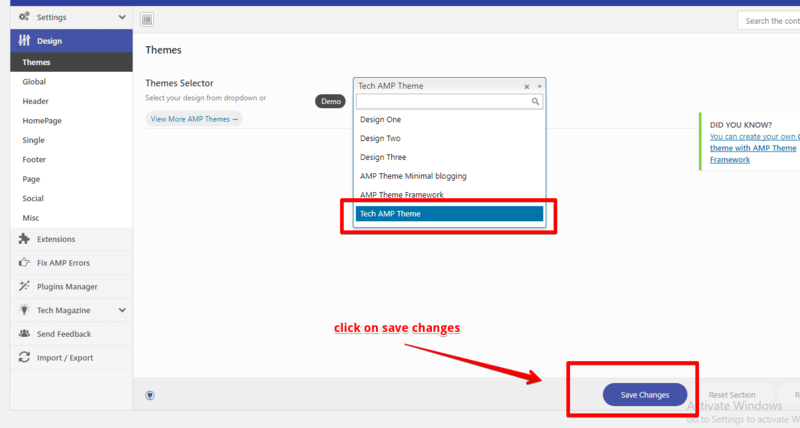 6.Now Here you can select the Tech AMP Theme and Click on the Save Changes. 7.Now you can use The Theme….